The Jarvis Model JR-50 Belly Ripper for automatic pork belly cutting operations on the kill floor. 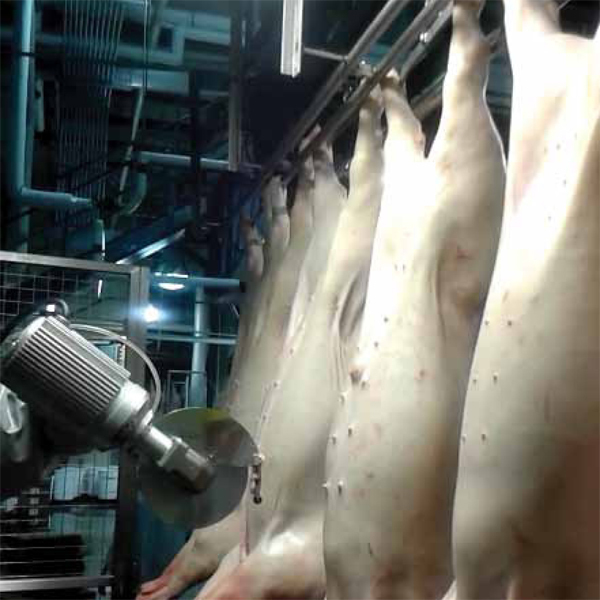 • Six-axis Robotic Belly Ripper – capable of higher line speeds, and cutting more carcasses per hour. • Real-time vision for precise and consistent cuts. • User adjustable parameters to optimize yields. • Stainless steel base and a completely jacketed arm makes the JR-50 easy to clean and maintain. • Small footprint to conserve space on the slaughter line. • Industrial hardened, real-time controller with 3-D vision.